In Botswana on holiday this year and had the very good fortune to see Lions in the Chobe game reserve on the northern border with Namibia.If you look closely you will see that one of the female lions has a tag around her neck.It turns out that an American accademic was tracking the Pride as part of a research project. This set me thinking – Who owns the data? And more to the point – who should own the data? We saw the Lions from Botswana where it’s illegal to interfere with wild animals. The lions roam freely and have no reason to keep to the game reserve confines, so their protection is good but not guaranteed. Tourism generates important income for Botswana through hotels, guides and game reserve entrance fees. All told – knowing where the lions move, hunt and spend their time clearly has many benefits for a lot of people in the area. So who owns the data? The academics who provide the monitoring equipment have the exclusive rights to collect the data. No information is made available to any other parties. Think about this. 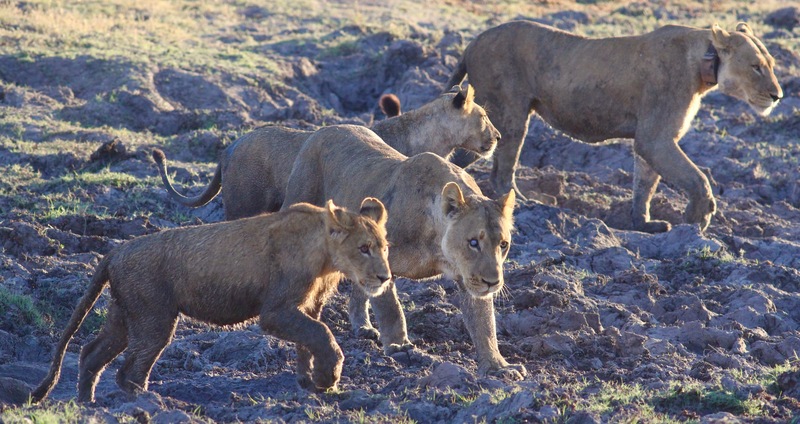 The lions are nominally an asset of the Game reserve which is either directly or indirectly paid for by tourism via local guides who collect entrance fees and enable local business to service the tourist industry. When we saw the lions we were quickly joined by a horde of other tourists in their trucks. We all had a great experience – but what was the impact on the lions wellbeing? Could staggered viewing and a greater likelihood of seeing the animals both increase the income for the reserve and lower the tourism impact? Also think about the locals – mostly farmers – living in simple huts. For them a lion can quickly become a pest. I am sure they would love to know when the local pride is in the area and they should look to their live stock. In this case the lion doesn’t care about the data – but the locals do, they can see great benefits that they are missing out on. Next time you share information with Apple, Google, Amazon, Facebook or that new funky running app, ask yourself – Does the lion own the data? This is quite a claim given that radio and music radio have been available around the world for many years in many forms and across various delivery channels. Radio can claim to be the first technology to have universally agreed global standards and has a long history of reaching across borders and connecting like minded people in separate communities. Many people have tried to improve radio either by changing the technology or the commercial model and appart from the introduction of FM and the limited use of DAB all have met with failure. The challenge for the newcomers is buried in the simplicity of the basic idea, the massive installed base of equipment and the way content is communicated. I think it’s important to think on this for a moment. I am sure you have heard it said that people prefer radio because the pictures are better. Its an old saying but cuts to the inner truth of broadcast content -that someone else is telling us a story and the experience is driven by the capability of the presenter. We may believe that with low cost digital music with us all the time we can do without music radio but with our own music we are only listing to our own story. We all need someone else to to be our curator or story teller, otherwise – how do we discover the new, have or boundaries challenged or define the limits of our own taste? With Apple bringing in established presenters and making a huge catalogue available how will the make their service different from other internet radio providers? The difference has to be in iTunes and the ability to monetize our listening. The one challenge to commercial radio has been the growth of online advertising taking a significant proportion of radios revenues. The reason is plain to see. How do you target advertising on radio? and more importantly, how do you measure its impact? This is the real killer opportunity for Apple. Data, Data, Data. What we listen to, when and where. This is the true redesign. For commercial benefit. Ubiquitus and fast can get close to predicting chaotic? That suggestion came to me from someone at a recent Data Science DC meetup, after I’d given a short talk on assessing risks of mass atrocities for the Early Warning Project, and as the next speaker started his presentation on predicting social unrest. I had devoted the first half of my presentation to a digression of sorts, talking about how the persistent scarcity of relevant public data still makes it impossible to produce global forecasts of rare political crises—things like coups, insurgencies, regime breakdowns, and mass atrocities—that are as sharp and dynamic as we would like. Drilling into the world of IOT. Graphene – Blah or Star? At Graphene week in Manchester and the new National Graphene Institute. Its a great new building with lots of space and facility. http://www.graphene.manchester.ac.uk I have visited a few of these faculties, such as the Center for Process Innovation and several Catapults. All are great examples of the UK government putting money into the knowledge economy and especially science and Technology. Graphene has been an odd story though. Since its discovery UK success stories have been a bit thin on the ground. I have begun to wonder if the truth will live up to the blah blah hype. More to the point – Has the UK missed the boat on Graphene? Was it really two academics playing with pencils and sticky tape on a friday afternoon? Us Brits love stories of eccentric Men in Sheds making the eureka discovery – and that has been the popular image of Graphene – but we do ourselves a big disservice by promoting this as the academic norm. There are very good reasons why Manchester is the home to Graphene and they are modern rigorous and serious reasons. Manchester university is home to world class capability in materials science, electronics, composites and life sciences. In total 200+ research accademics across multiple departments are involved in defining, measuring testing and applying Grapene and other one and two dimensional materials. 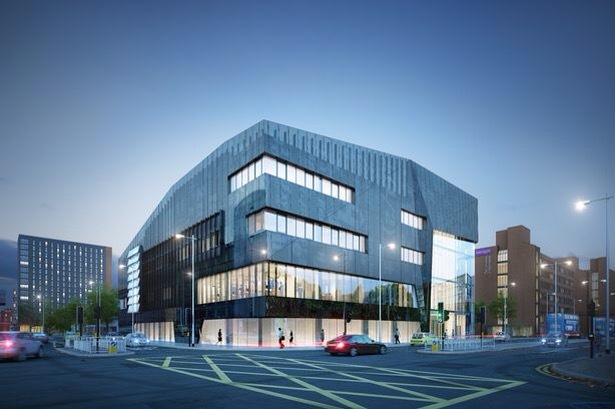 The National Graphene Institute will bring them together with industry partners to solve real problems. And the Hype? Measured quantified and predictable results have been shown for membrane filters that purify water, supercapacitors with power storage densities of LiPo batteries and life sciences applications for drug delivery are all well advanced. Blah Blah? Not this time. Was it a surprise to anyone when Ofcom published a report documenting the growing of Tablets in the UK? (http://consumers.ofcom.org.uk/news/five-years-tablets) Any one who commuts on a regular basis will know how popular they are and I am a complete convert. I use mine for meeting notes, presentations, writing this blog, keeping up on linkedin and Facebook as well as watching TV, searching the web and generally doing digital stuff. The part that caught my eye though was the demographic. The classic demographic target for our consumer marketers is the 18 to 34 age group due to perceived greater spending power, openness to new ideas and as yet unformed brand loyalty. Is this another example of Steve Jobs spotting a way to buck the trend? Jobs was famously ambiguous about who or what the iPad was for when it was introduced. Though i suspect that even a company with the deep pockets of Apple had more than gut instinct in their business plan. But would they have targeted this age group?